What is a squircle anyway? “mass appeal” smartwatch should be: It’s got to have health and fitness as key features, it must have a universal design, it has to have long battery life, and it has to hit the right price point. The result of this thinking was the Versa. The difference between the designs of the Versa and Ionic are stark – so stark that it makes the Versa look almost like a response to the Ionic smartwatch. But there’s also this pervasive feeling that it looks familiar. 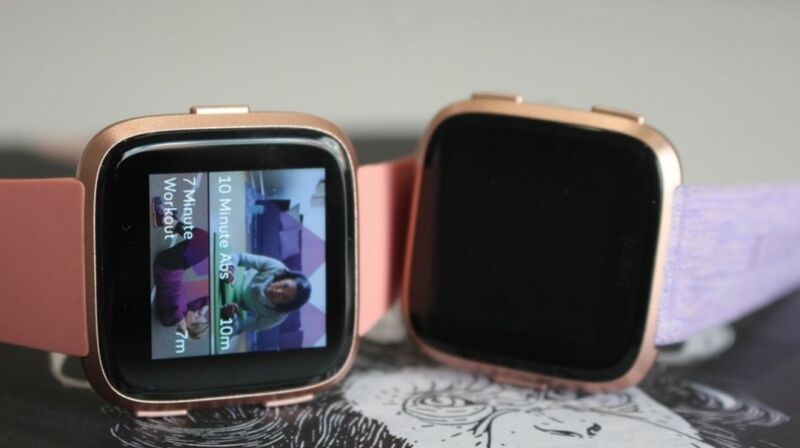 It’s not the Apple Watch, even though they do share similar design ideas. Rather, it looks like a lot like a Pebble. 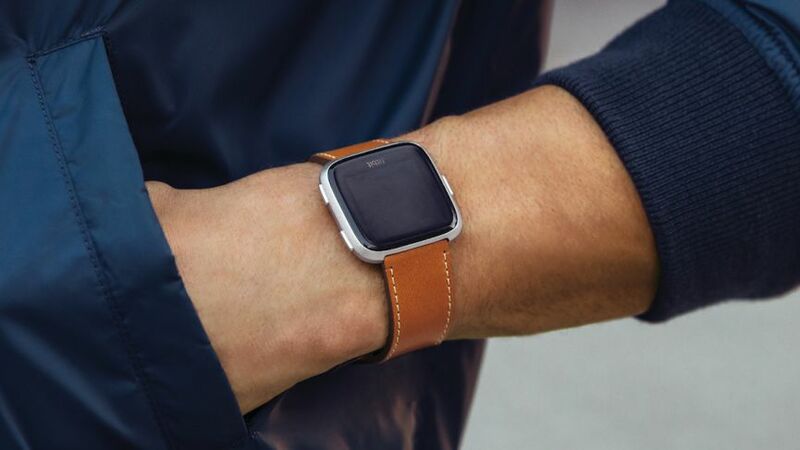 Even Jon Barlow, Fitbit’s developer advocate, says the Pebble community members he’s spoken to are thrilled with the Versa because of the Pebble-esque look, and the fact is offers a lot of the features they want in a smartwatch (except perhaps an always-on display). 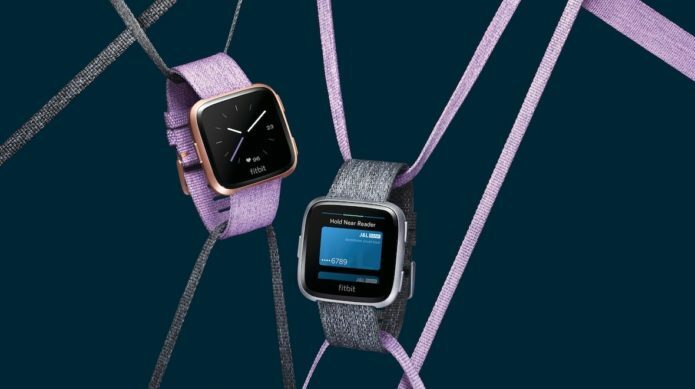 So did Fitbit just take an in-development Pebble Time 2 and redesign it? Not according to Jonah Becker, Fitbit’s VP of design, who insists the similarity in looks is purely coincidental. That one-to-one aspect ratio gives the Versa a different display to the Ionic, by the way, which means developers will need to do a little bit more work to get their apps and watch faces on both devices. Jon Barlow, Fitbit's developer advocate, says that developers will just need to upload multiple assets, putting the aspect ratio in the file title; Fitbit's system will automatically pull the right one for the right device. Instead, he says this was a natural evolution Fitbit had been working on for a couple years, a delineation that’ll help visually explain Fitbit’s future products. Like, for instance, when it’s compared to the more angular Ionic. According to Becker, it’s like comparing a Porsche and a Prius. The Porsche has a more aggressive look, denoting it wants to push the limits of performance; the Prius is more friendly, designed to look far more comfortable. So if the Versa isn’t just a rebranded Pebble, and if it really is a natural evolution of Fitbit’s design, how did that design come about? Becker says the first thing the design team thought about was the optimal weight for a smartwatch. Then it worked with the company’s hardware team to design sensors and components that would allow them to stick to that weight. Then it was study time. According to Becker, the team spent time researching the history of timepieces, both on the wrist and on the wall. What they found was that watches were circles not because they look better, but because it was a necessity of function; mechanical movements are designed to push hour, minute and second hands in a circular function. Digital screens, however, have different necessities of function. Fitbit clearly did not want to make a traditional watch. It wanted something that would give you your heart rate, your mile time, your splits, and other health-based information, which requires maximizing the screen space allowed. And that, much to the chagrin of the many who prefer circular smartwatches, makes square watches make much more sense from a design perspective. Apple follows this same design ethos. But it presents a challenge because most people prefer circular watches. We’ve been using them for hundreds of years; they’re familiar. This isn’t lost on Becker, who points out that if you ask a child to draw a watch they’ll draw a circular one. So how do you balance creating a smartwatch that people want to wear? You create a “squircle”, an odd word that Fitbit uses to reference the shape of the Versa. The idea was to try to move toward the future while drawing on things from the past. 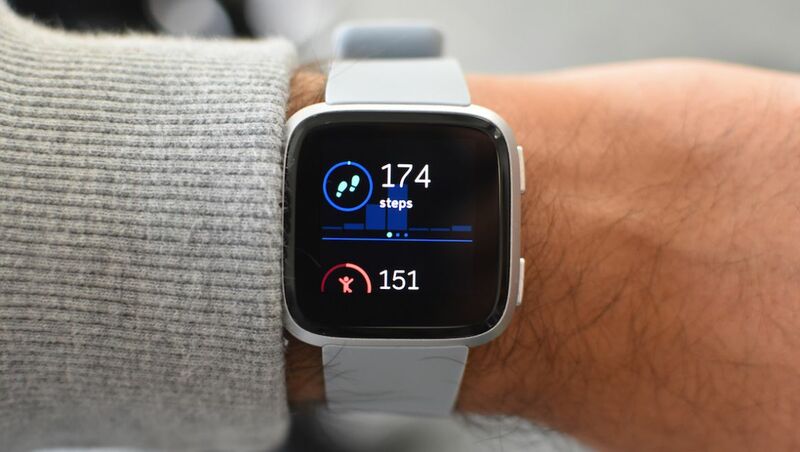 That’s why the Versa uses a one-to-one aspect ratio; it creates a visual symmetry on the display (though putting Fitbit’s name on the bezel certainly upsets that symmetry a bit) that makes everything feel a little more cozy and comfortable. The next step was to soften the Versa to make it more inviting and, frankly, more human looking than the Ionic. This includes some obvious things, like making the buttons softer to the touch rather than the more grip-y buttons of the Ionic. In fact, Fitbit took the idea of soft touch points to the heart rate sensor, attempting to make it more comfortable on the skin. It also includes subtler things, like giving the watch a gentle curve that makes it appear a tiny bit circular and using lofted lines to make it appear like it’s just above your skin. 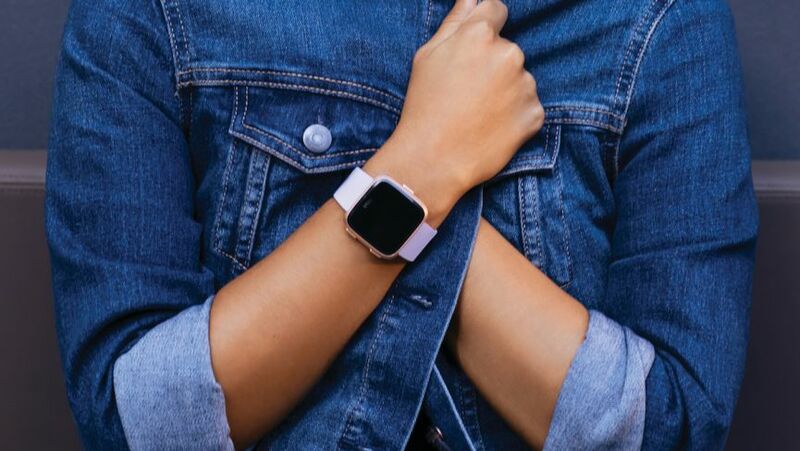 And that’s how Fitbit says it got to the Versa, and why the company says any Pebble similarities are coincidental – though Pebble fans may argue otherwise until the end of time.